Around the middle of the nineteenth century, American settlers, mostly farmer-pioneers, were moving west to the frontier of the Plains and the Southwest. As they proceeded, they became acutely aware of the changes in environment, which marked a transition from the wooded lands of the East to the more arid, isolated, and grassy regions of the West. For, "in the Midwest and Southwest, conditions were far different"(5). Before the farming pioneers lay a land of promise and opportunity, yet, "ahead stretched mile after uninterrupted mile of tablelands, not entirely without trees, not entirely without loose stone, not entirely without water, but seriously affected by the scarcity of all three"(6). In this new land, the farmer-pioneers found themselves lacking the tools and agricultural technology which could make successful farming possible. 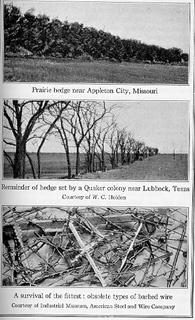 For, "change in scenery called for change and adaptation in provisions, and with the farm-minded pioneer, one of the features most radically in need of adaptation to the changing scene was fencing"(3). Fencing to the east had consisted of the ready and available native materials of the land. In the East and New England, fencing had been constructed of stone walls, drawing upon the great amounts of stone found in the native soil. Along the Atlantic seaboard, fencing consisted of wooden rail fences, constructed from the inexhaustible supply of trees in this area. Likewise, such wooden fences and sources of material extended to the South, where earlier, slave labor, and later, cheap labor, provided for ease in construction. Yet on the Plains and in the Southwest, "in an almost treeless land, with a scarcity of loose stones, and removed by navigable waterways"(9), material for fencing was truly unavailable. The lack of fencing material for those early farmer-pioneers was truly problematic, for "farmers were by tradition the fence-makers of the world"(7). "The historic function of the fence was to serve as defense"(7), and on the frontier, the farmer-pioneers needed to protect their crops and the fruits of their labor from outside destructive forces. For, "no one knew better than [the farmer-pioneer] that he must have protection--not only from the elements but from man and beast as well"(9). Without wood or stone, the farmer-pioneer at first looked for substitutes that could serve as fencing to protect his crops. Furrow fences and earthen ridges were employed to no success. In the late 1860's and early 1870's, hedge fencing, the cultivation of native thorn bushes such as the bois d' arc to serve as defense, was employed as well, to greater, but still little success. At the same time, wood and stone fences were tried again, but materials proved too scarce and expensive, and the construction too laborious to work successfully. Thus the pioneer-farmer found himself halted at the threshold of the frontier, for without fencing he could not proceed. Yet, in 1873, technology would change his predicament and the frontier forever, with the invention of barbed wire in De Kalb, Illinois. Central to its agricultural problems was the problem of fencing. In the late 1860's and early 1870's, this problem had been considered by many of the citizens of De Kalb County. But it would not be until a fateful day in 1873 that the technological breakthrough in fencing would begin. This breakthrough began at the De Kalb County Fair of 1873. At the fair, Henry M. Rose, a local farmer, presented a curious contraption of fencing. The fencing consisted of a normal wooden rail "equipped with short wire points extending out in "sharp projections""(29). The apparatus was not designed to be an entity to itself, but instead was meant to be attached to an existing fence. Rose had merely created the contraption "to control a "breachy" cow," and due to its simplicity and limited purpose, the contraption would not have been noteworthy had it not been for its influence on three men who had attended the fair that day. These men, Joseph Glidden, Isaac Ellwood, and Jacob Haish had taken special notice of Rose's contraption, and they would use his basic idea to stimulate their invention of barbed wire fencing. It was due to the occupations and interests of these three men that they took such special interest in the idea of improved fencing. Jacob Haish, the first of these men, was a lumberman, and "since the men with whom he did business were concerned with the constant search for suitable fencing material, he was concerned with it too"(30). The second man, Isaac Ellwood, was a hardware merchant who served the area surrounding De Kalb. His customers were also in need of fencing, and "because he was in touch with the rural population of the area, he was in a position to appreciate the fact that a real improvement in fencing could be important"(31). The third man, Joseph Glidden, perhaps needed improved fencing the most. For as a farmer, "[t]he need for providing some sort of barricade to keep out stray animals was one of the gnawing problems of his everyday existence, and he could see that an "armoured fence attachment" might help in remedying the situation"(31). Thus, it may be seen that each man possessed a personal stake in the advancement of fencing, and it was this impetus which led to experimentation and consequently barbed wire fencing. Joseph Glidden was the first man to begin experimenting with Rose's design to make a more practical and effective fencing material. Unlike Rose, Glidden saw the advantage of applying barbs to the smooth fence wire that was commonly used in this time. He first experimented in his farm kitchen with the help of his wife, simply attaching barbs to the smooth wire. Yet he quickly realized that this method was also ineffective, for he "saw that wherever he used the barbed strands, on garden or cowlot, the twisted wire pieces gradually slid along the straightened fence strand, and he realized that he must find a way to crimp the barbs so that they would stay in place"(32). By using a coffee mill, Glidden quickly developed a method of wrapping the wire around the barb, and "by this method a fairly uniform barb was produced with each operation of the coffee mill"(32). Furthermore, with the additional use of an old grindstone, he wrapped a second wire around the first, "and the result was a double strand of cable having wire barbs secured along its entire length"(32). Glidden had successfully developed the first barbed wire fence, and he tested his invention by fencing in his own barnyard. Soon other neighboring farmers stopped by to see his invention, and in no time, Glidden was producing and selling the barbed wire to these men. Isaac Ellwood had also tinkered with the use of barbs and fencing, but to no substantive end. Upon hearing that Glidden had developed a new fence using the barbs, he decided to see the invention in person. The story tells that Ellwood and his wife took a buggy ride to Glidden's farm one Sunday afternoon. Upon seeing the invention, Ellwood's wife allegedly made a comment referring to the superiority of Glidden's invention to anything Ellwood had created. Apparently Ellwood was enraged; nevertheless, one day later, both men were in negotiations for going into business together. 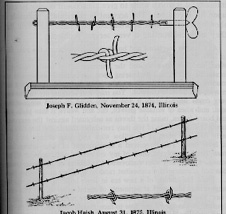 Jacob Haish had also developed a barbed wire similar to Glidden's. Upon seeing the Glidden fence, Haish, a determined and competitive man, realized the inferiority of his own fence and the potential power of the Glidden and Ellwood combination. Thus, Haish sprang to improve his own fencing and to put his own foot into what would become a patent battle. Glidden had first applied for the patent of his method of putting barbs on wire on October 27, 1873, yet the patent was not granted. Haish, applying for patents later, had received two patents on a wire and a wire-stretcher in early 1874. On July 17, 1874, he applied for his most important patent on his most recent design, the famous "S" barb. Ten days later, he submitted interference papers on Joseph Glidden, officially beginning a patent battle between the two competitive men. Joseph Glidden's original design, trade named "The Winner," was not patented until November 24, 1874, over one year after he had applied. 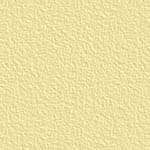 Nevertheless, with the help of Isaac Ellwood, who had bought interest in Glidden's invention by July of 1874, Glidden was not discouraged. Following his application for his patent which was pending, Glidden invented a wire stretcher, a second type of barbed wire, and a machine for making barbed wire fencing. By 1875, Glidden and Ellwood had developed the Barb Fence Company and were producing and selling barbed wire in substantial amounts. Haish, however, did not remain reticent due to Glidden's success. Using his own patents and inventions, he opened up his own barbed wire factory, offering competition in the production and sale of the product. In spite of the early patent struggles, the battle between Haish and the Barb Fence Company had just begun. In the years following, both would compete for the dominance of the barbed wire market out of their common base of De Kalb, Illinois. As Jacob Haish, the Barb Fence Company, and other small barbed wire companies began producing more and more barbed wire, the plain wire companies of the East began to take notice. One such company, the Washburn and Moen Company of Massachusetts, took special interest, and in February of 1876, its Vice-President, Charles Washburn, traveled to De Kalb. After failing to negotiate with Haish, Washburn moved to the Barbed Fence Company for a further attempt at negotiation. There Washburn found Glidden eager to sell and Ellwood eager to incorporate. After negotiations, Glidden received $60,000 and a royalty of 25 cents per 100 pounds of barbed wire sold. Ellwood and Washburn merged to form the I.L. Ellwood and Washburn & Moen Company. With the increased capital, the new company bought the rights to many of the patents existing for barbed wire and thus extended its power. By the late 1870's, this company came to be known as "the Company," due to its near monopoly of the barbed wire market. Yet competitors continued to struggle against this dominance in the years that followed, and thus the battle over barbed wire continued into the 1880's. To conclude the story of De Kalb, two things must be noted. First, while the inventions in De Kalb have come to be known as the first examples of barbed wire, in actuality, many similar inventions existed in America and other countries before 1873. They were not utilized for production, however, and consequently their only significant role in the barbed wire story was played in the litigation battles of the 1870's and 1880's. Secondly, it must be noted that no exact story of the invention of barbed wire exists. Due to the heated competition of Haish and Glidden, many stories exist, and the one that has been told is simply one interpretation of the facts. With these cautionary notes, the story continues. With the establishment of barbed wire factories in De Kalb, Illinois came the next step for the industry: promotion. Both Haish and the Ellwood and Washburn company were selling good amounts of barbed wire, yet they were aware of the potential for its great demand throughout the West. Thus, to realize this potential, both companies turned to promotion of their products. The first step in the promotion of their wire was the publication of industry journals, to both advertise their own product and to attack their competition. Washburn and Ellwood produced "The Glidden Fence Journal," while Haish counteracted with his production of "The Regulator." These journals spoke generally about the problems of fencing and the positive attributes of barbed wire. They would become more inflammatory and significant in the patent battles of the later years. The next step in promotion was the creation of advertising posters. Haish, with sensationalism and creativity, dominated this aspect of promotion, for Ellwood was restrained by the more mild manner of his eastern partners. Despite their efforts, neither publications nor posters greatly improved the demand for their products. Salesmen were needed, and quickly the Ellwood and Washburn company turned to this method of promotion for greater success. 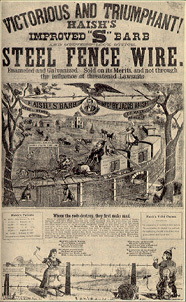 In late 1874, the Barb Fence Company had secured sales representatives to distribute and promote their product. 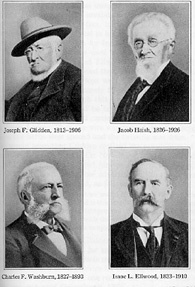 Of these, the most important was Henry Bradley Sanborn, a relative of Glidden's. Sanborn first promoted the wire around De Kalb, and then in 1875, he was sent to Texas, with his partner J.P. Warner. Sanborn and Warner found Texas to be wrought in conflict and controversy between the cowmen and so called "nesters" of the region. The cowmen strained to preserve the open range, while the "nesters" called for means to better settlement. Amidst these conditions, Sanborn and Warner found little interest in their product. Texans were still skeptical of any product of the North, and they further feared the seemingly cruel nature of the contraption. Furthermore, the lumbermen and cowmen saw threats to their interests which barbed wire fencing could provide. Most importantly though, Texans were generally skeptical of the effectiveness of the fencing material in containing their sturdy and wild Longhorn cattle. By 1876, Sanborn and Warner had sold little barbed wire and returned home. Yet, at this time, Ellwood, who had taken control of the company, refused to give up, still seeing the potential for barbed wire in the West. Thus, in late 1876, he "hired an enterprising Illinois farm youth named Gates, as a salesman "to push sales in Texas"--and by so doing, he threw Texas and the surrounding territory into prominence, and into confusion"(68). John Warne Gates had secured his job by a recommendation from Glidden, and at the age of 21, he proceeded to San Antonio, Texas, to try his hand at promotion. San Antonio drew its prominence from many factors, including its history, center of government, and central location. To Gates, more importantly though, its importance drew from its frontier nature and its existence as a "mecca for cattlemen"(69). At first, Gates sold little barbed wire, instead establishing contacts and a ground for future sales. But quickly, Gates made the move that would make himself and barbed wire famous forever. This move may be seen in the story, somewhere between fiction and non-fiction, that still exists in barbed wire lore today. "I've worked something out. I think I've got it. We'll sell more barbed wire than you can shake a stick at. We'll do like Doc Lighthall. We'll give 'em a show, right out in front. Get the wildest damn cattle in Texas--corral 'em here with barbed wire and then let 'em try to get out. That'll show 'em. Ain't a cowhand livin' won't go for that"(70). And Gates apparently kept his word, building a corral in downtown San Antonio and holding a demonstration that held in the wildest Longhorns. The veracity of the story must be questioned, yet the sales skills of John "Bet-a-Million" Gates cannot be. For between 1874 and 1877, the production and sale of barbed wire had increased from 10,000 pounds to 12, 863,000 pounds. By 1880, this number had reached 80,500,000. Clearly the promotion of barbed wire had been a success, and it consequently spread throughout the West fencing in the land. Yet the battles were not over for the barbed wire industry, as a struggle for supremacy arose out of this valuable commodity. Due to the increased production and power of the Washburn & Moen and I.L. Ellwood company, other independent enterprisers attempted to contest their growing monopoly. The first wave of this contest came in the form of lawsuits questioning the company's patents, and by the end there were more than "28 lawsuits on "prior use" fences"(75). Each of these lawsuits had to be fought by what had come to be known as "the Company," costing it more than 50,000 dollars. For it seemed that inventors were growing by the day, and the Company had to protect its patent. The second wave of contest involved the infringement of the Company's patents. This contest caused the Company further difficulties, and "on this second score Washburn and Ellwood came up against still other individuals, and more expenses, for there had sprung up in the wake of success not only many inventors but also many manufacturers of barbed-wire fencing"(77). For "the very simplicity of the product invited imitation"(77), and producers sprang up throughout the countryside operating without license or patent. "Their status was definitely sub rosa, their life expectancy as businesses was admittedly short, but while awaiting decisions from the United States Patent Office and opinions on the law of the land, they worked feverishly to share in the barbed wire boom for at least a little while before being required to close down"(77). These extralegal producers came to be known as "moonshiners," and many were organized into a solid group by John Gates, who had by then disassociated from the Company. The "moonshiners" were able to produce their product at a lower cost, and thus offered a serious threat to the Company due to their lower prices. They moved West, forming more groups, such as the Iowa Farmer's Protective Association, dedicated to fighting the monopoly of the Company. The infringement of the Company's rights led to years and years of extensive litigation, including one case that reached the Supreme Court in 1892. Yet the culmination of all the litigation was reached in 1880. In this year, Judges Thomas Drummond and Henry Blodgett handed down in Chicago a joint decision that "Jacob Haish's famous 'S' barb was decreed an infringement on patents judged to be foundation patents,"(83) which were all in possession of the Company. While specific to Haish, the decision spelled doom for all other manufacturers, for it stated that the Company possessed sole rights to the production of barbed wire. Haish, Gates, and the "moonshiners" were ruined; infringement patents were turned over to the Company, royalties were demanded, and damages were assessed. In the end, the Washburn & Moen and I.L. Ellwood Company possessed an essential monopoly on the barbed wire industry. The final consequence of the struggle for monopoly over barbed wire was its incorporation into larger steel companies. By 1891, Ellwood an Gates had rejoined forces and had incorporated their holdings into the Columbia Wire Company. By 1898, Gates, acting on his own, had bought most of the Washburn and Moen Company and had established the American Steel and Wire Company. Eventually, Gates incorporated into J.P. Morgan's United States Steel, in the year 1901. Thus by the turn of the century, the production of barbed wire had transferred from the small shops of De Kalb to the giant corporation in the East. United States Steel would produce barbed wire in the 20th century, the synthesis of decades of struggle for the monopoly of barbed wire. And thus ends the story of the development and production of barbed wire, but the general story of the invention continues. For in the next part, the introduction of barbed wire to the West will be closely examined, exposing the culture of the West and how it reacted to this new invention.